Read about each of the awards here. Photo by Grid Alternatives: Coyote Ridge Community Solar Project sited on a former landfill adjacent to transmission lines. 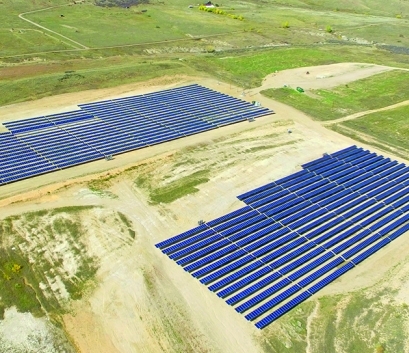 The landfill was provided by Larimer County, Colorado for the community solar project. In the program, 10 trainees from Lutheran Social Services learn how to install solar panels, but also learn more about energy solutions of tomorrow…One of the partners for the training program is Habitat for Humanity in Williamson County. 1-minute video about the innovative initiative here. 13,000 People Expected To Attend Renewable Energy Fair In Custer, Wisconsin Public Radio See our calendar for event details. Nebraska’s interconnection standards’ grade remains an “F”, while our state’s net metering has earned a “B”. Source: Freeing the Grid, produced by the Interstate Renewable Energy Council and Vote Solar, with analysis provided by EQ Research. Minnesota has a total of 849.5 megawatts of solar production, enough power for 116,670 homes, according to GTM Research and the Solar Energy Industries Association (SEIA), a trade group. 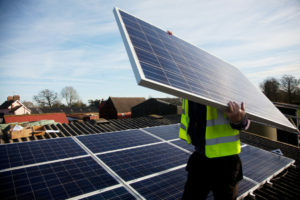 This entry was posted in Community-Scale Solar, NewsBlog and tagged Annual Energy Fair in Wisconsin, Fannie Mae and Freddie Mac, financing renewable energy, Freeing the Grid, Illinois' Future Energy Jobs Act, renewable energy development in the United States, Smart Electric Power Alliance (SEPA) 2018 Power Players Awards, states' interconnection standards on June 15, 2018 by Helen Deffenbacher. Minnesota regulators received a proposal Thursday to fix what advocates say is a slow and outdated process for connecting renewable energy projects to the electric grid. The proposal would update Minnesota’s 12-year-old interconnection standard and offer a more streamlined and transparent approach to regulations. Fresh Energy (which publishes Midwest Energy News) along with the Environmental Law & Policy Center (ELPC) and the Interstate Renewable Energy Council (IREC), filed the initiative with the state’s Public Utilities Commission. Continue reading. 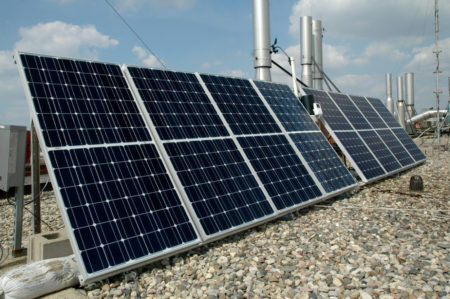 Freeing the Grid, sponsored by Vote Solar and the Interstate Renewable Energy Council, gives Minnesota a “C” grade for interconnection, and an “A” for net metering in the annual “Clean Energy Report Card” for each state. Freeing the Grid gives Nebraska a grade of “F” for interconnection and a “B” for net metering. This entry was posted in Installation, Nebraska / Midwest News, NewsBlog and tagged Freeing the Grid, Freeing the Grid's State Clean Energy Report Cards, Midwest Energy News, Nebraskans for Solar, states' interconnection and net metering policies on May 13, 2016 by Helen Deffenbacher.